We did a ritual at Camp Widow East 2012, for the first time. A secular, all ages, all stages participatory event that was like nothing I'd ever seen. This is after two full days of being among ONLY widowed people, learning, bonding, sharing, belonging. The ritual was late, transcendent, deep and full of surprises, an expression of love shared. Here's how it worked: Everyone received a glass heart, a piece of rice paper, and a short bit of green raffia. 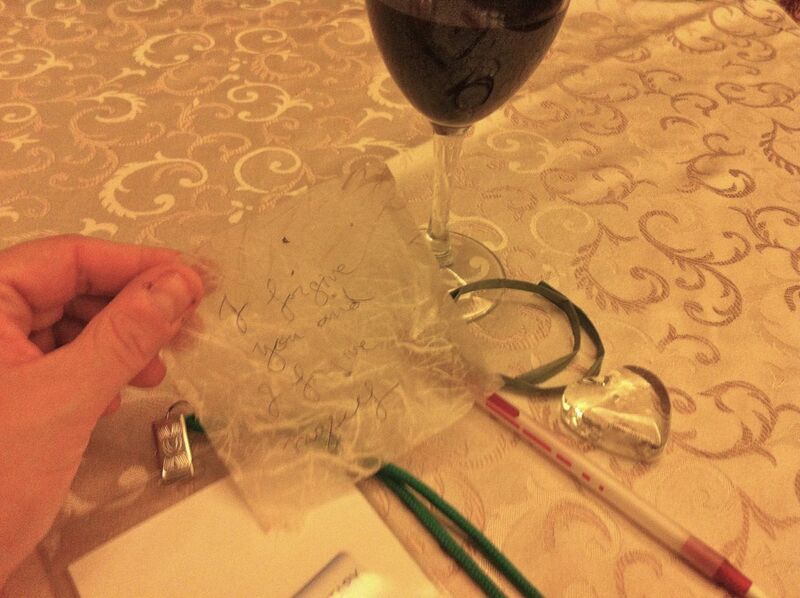 At some point during our day we each wrote a message to our late partner on the paper and wrapped up the heart. Spit was better at holding the package together than raffia, but whatever. (Love always binds.) All day Saturday we thought about it, or held on to it, written. This meant a lot because I wrote a similar note in 1999, when Gavin had a traumatic near-death event in our kitchen. 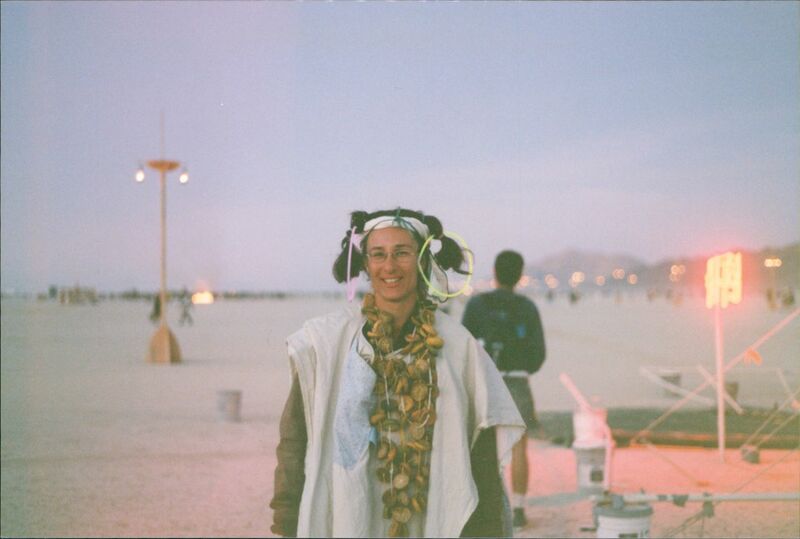 I went to Burning Man that year and sent that note into the fire. That was a big one, too. We could have broken up that year. Somehow, that year, "we" survived. In clusters, hand in hand, one at a time, in gaggles and lines, 100 widowed people walked into the edge of the foam, or deeper, and sent off our heart-message-raffia packets. Our words, our hearts. I've never understood so much about the word "release" till the moment before mine left my hand. regrounding as we each needed. There were a few words... we thanked each other for being part of the amazing day. Exhausted and fulfilled, we said whatever we needed to say, silently, alone, and together. Our sequins, glow necklaces, wet ankles sparkled in the moonlight. Then we found our shoes and regathered, party hairdo's damped down, smiling and refreshed, outside the tired ballroom, plotting one last party or too tired, perhaps to share any more, or taking what was almost the last picture of the weekend. It was gorgeous and we were all emptied out and yet very very full. This was what makes a good ritual and we need so many more of those in our lives after loss. How much of our time do we spend sharing via computer? What kind of "secrets" are we really telling in our blogs? The ocean can't read. We need to be alone together sometimes. We needed this. I was proud to be part of it and happy (and surprised) to participate with all my, yes!, heart. Facebook, you can't beat the sea. Thanks, Carolynne! I love the photos you took of us together... I look almost as alive and joyous as you do! It was pretty awesome!! Hope you can join us at a future event! How beautiful, gave me goosebumps to read this. Thank you so much for sharing what you all did. HUGS!